Looks like some local robbers from Jay, Fl.! So do they have the flu? 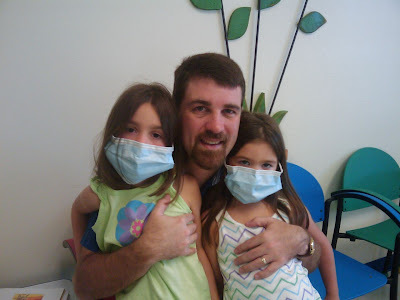 The tests came back that Isabelle had the flu and Anna did not. I do not believe Anna's results. She has the same symptoms and her fever is higher than Isabelle's right now. So, yes they have the flu.